This is a tale of overactive imaginations. Told that there is a surprise for dinner that evening, the young narrator spends all day speculating on what it might be. A lot of ideas are put forward only to be rejected for various reasons. Then little brother Leo, reading a travel brochure in the doctor’s waiting room, decides the family has won a trip to Hawaii in a competition, and they both fall under the spell of that wonderful possibility. Relayed to all their friends at school, this fantasy becomes an established reality and even a matter of excitement for the headmaster and official celebration for the school. Every reader will realise, with mixed anxiety and delight, that the brothers are in for disappointment and embarrassment at dinnertime. However, it doesn’t turn out too badly and the surprise really does have a Hawaiian connection. 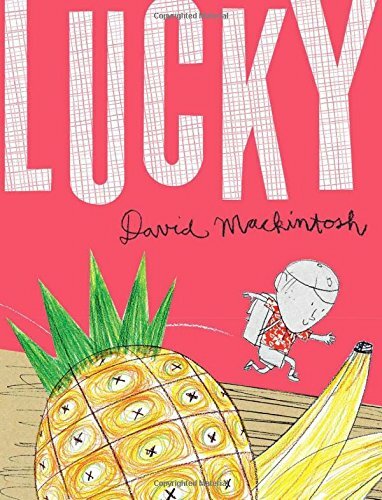 It’s a witty and stylish picturebook with illustrations bursting with energy and fun, which will appeal to the wish fulfilment bone in every child.